New York City’s Highline Park is one of the most innovative urban green spaces to be designed and implemented in recent memory. The Highline Park sits atop an old railroad trestle that was built in the 1930s and was abandoned in the 1980s. Stretching from Manhattan’s Meatpacking District to 34th Street along the West Side, the Highline stretches for 1.5 miles and is elevated nearly 30ft above the ground. The Highline provides its visitors amazing views of Manhattan’s skyline and Hudson River and the unique experience floating above the city’s energetic streets below. The Highline’s designers created a lively contrast between the street and the park by interspersing numerous types of vegetation and modern walkways and benches. 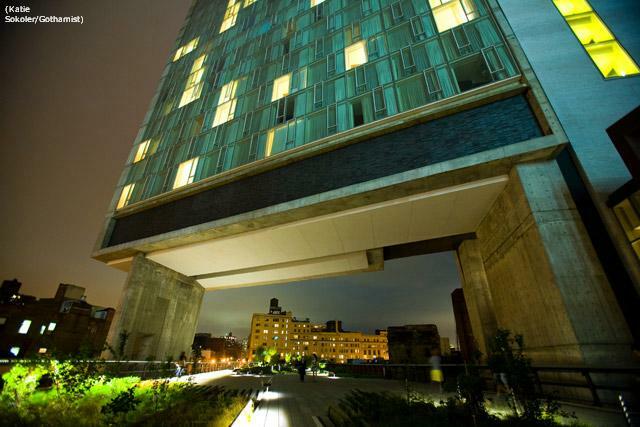 To thoroughly integrate the Highline into the cityscape, the bridge is kept open until 10pm every night. In order to realize the late night operation of the park, bridge designers sought out long lasting, durable, and versatile lighting solutions that would make the park both attractive and safe to use at night. As Architectural Lighting reported, park designers sought out LED units that could be kept low to illuminate the Highline’s paths while leaving the spectacular views the bridge affords unobstructed. Lighting designers used floor mounted linear one-watt LED modules that were planted in the vegetation surrounding the paths, illuminating the plants and therefore showing the pedestrians where the plants weren’t, and cleverly rendering the path visible. BulbAmerica stocks a wide variety of outdoor LED products perfect for your garden and park. Just because the sun goes down does not mean you should head indoors, so checkout all of outdoor LED products for general illumination and color changing. As usual, leave a comment on our blog or Facebook or give us a call at 1-877-622-0897 with any remaining questions you have.